The development of the 11K77 launch vehicle, known today as Zenit, started at the beginning of the 1970s, in the hope of building a family of light, medium and heavy launchers made out of standard booster modules. The project was then folded into a wider effort to develop the Energia-Buran system, the Soviet equivalent of the Space Shuttle. The Zenit rocket reached the launch pad in 1985 starting a long career in the Soviet and, later, Russian space program. The original two-stage version of the rocket was intended primarily to put military satellites into the low Earth orbit. However early on, a three-stage configuration capable of reaching geostationary orbit was also designed. Originally developed as a strap-on booster of the super-heavy Energia launcher, the same booster also doubled as the first stage of the long-lasting Zenit launch vehicle. Often referred to as the "most powerful rocket engine in the world," RD-170 was designed to propel the first stage of the super-heavy Energia rocket. As part of a reusable transportation system, RD-170 was designed to fire as many as 10 times. A similar engine designated RD-171 was intended for the first stage of the Zenit medium-lift rocket. In most missions of the Zenit rocket, its second stage would have a job of placing its payload into the low Earth orbit. The 11-meter rocket stage was equipped with the RD-120 main engine and the RD-8 steering engine, both burning a mix of liquid oxygen and kerosene. Originated as a part of the legendary N1 moon rocket, the venerable Block D upper stage then migrated to the Proton and to the the Zenit launch vehicles to play a role of a space tug delivering payloads to their final orbits. Original plans called for the development of the only launch facility for the Zenit rocket at Russia's northern space center in Plesetsk operated by the Soviet military. Ironically, this pad had never been completed, while Zenit started its flights like most other Soviet space rockets in Baikonur. 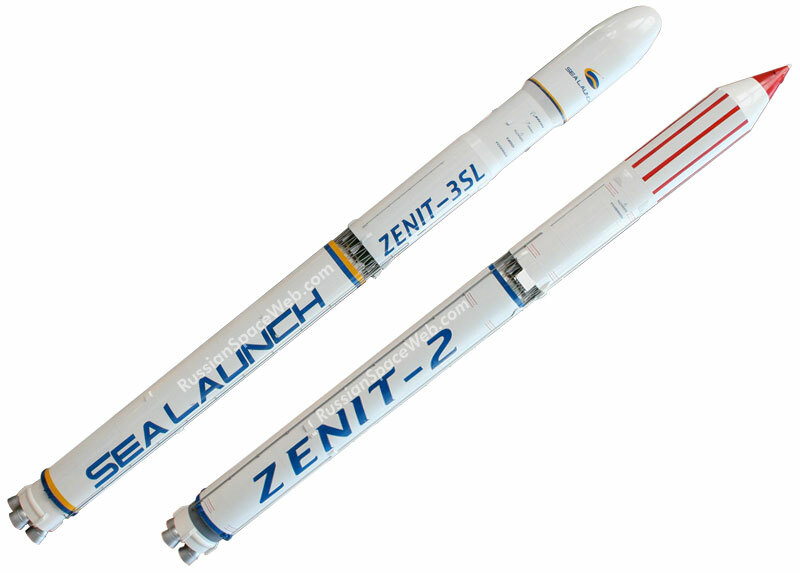 The Zenit rocket with its highly automated pre-launch processing turned out to be the best candidate for launches from a floating ocean-going platform. A self-propelled launch site could bring the rocket to the Equator, where the Earth rotation would maximize its payload, especially on the way to a geostationary orbit used by most commercial satellites.